I have a confession to make , I can’t knit or crochet. So launching a charity knitting campaign to raise awareness on FGM may seem a bit odd. 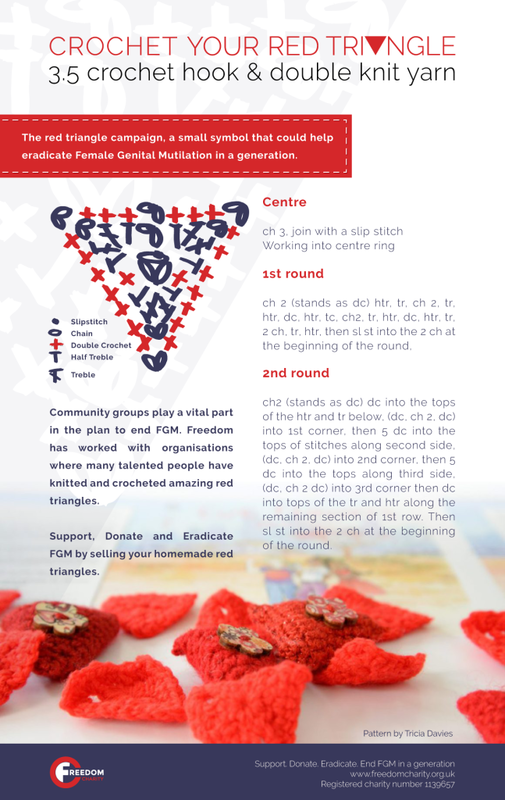 Freedom Charity is asking all communities to knit (or crochet) red triangles in it’s awareness campaign to eradicate FGM. 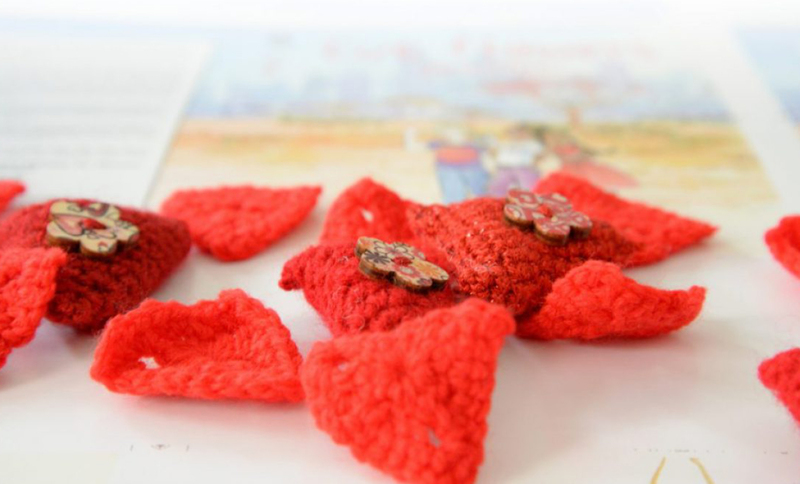 The groups will make their triangles to be worn on the lapel and sell them to friends, family and the community. The funds raised will help Freedom work with schools so they can learn how to deliver essential lessons on FGM. Schools will also receive copies of my book Cut Flowers to help change opinions on cutting. So during the charity knitting campaign designed by the girl who can’t even knit a stitch, I have never even held a crochet hook, I’m determined to learn and hopefully attempt to sell some too. My mum Savita’s lovely friend Tricia came up with a really beautiful pattern of a crochet triangle. It looks really elegant. (dc, ch 2 dc) into 3rd corner then dc into tops of the tr and htr along the remaining section of 1st row. Then sl st into the 2 ch at the beginning of the round. Please send me details on how you get on and send me your attempts. So lets see you try and knit your own creation and show us how you have done. I’m sure you can do it and inspire others to do so too. Hi Amy, Thank you for your word of encouragement, hopefully My Mum Savita can teach me how to knit later today after she has been knitting and loads of nattering with her WI group!